Authorised Distributer of Sonam Quartz Wallclocks through J&K. 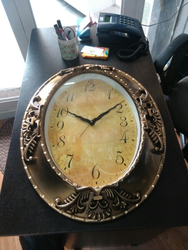 We are one of the leading manufacturer of Wall Clock - Assorted 2 in India, we have in this line for more than 6 years; we produce different types of wooden and metal clocks wooden handicraft items and many other kinds of handicraft items. We hold diverse styles; our products are good workmanship, low price with world class finish and quality. Redefine Your Living Space With Designer Quartz Stylish Stainless Steel Wall Clock By eShoppingGlobal. It'S Classy Look And Neutral Colour Ensures That It Can Blend Easily With Any Kind Of Home Decor Theme. 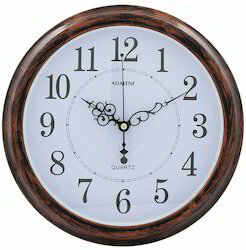 Designer Quartz Steel Wall Clock Is A Perfect Value For Money Item Offering Style And Durability.